"I needed several trees trimmed and three removed, including a too-large Oak growing between my house's foundation and my neighbor's. Like a true professional, Eddie showed up on time to give me an estimate and we agreed on a price and scheduled a day for the work to be done. On the day the trees were to be worked on, he showed up, again, on time and he and his crew proceeded to trim and clear the trees with an attention to detail and a respect for the property that I had never seen before. He made sure to use tarps and plywood to protect my house and garden as needed and at the end of the day, cleaned up all chips and clippings better than any gardener would. It was a two day job and both days, Eddie and his guys worked hard to get the job done with no fuss and no problems. Even when he had a stump grinder come in to take care of the several stumps, he was there the entire time and made sure the grinder did a thorough and neat job. I can not recommend Eddie and Neck of the Woods highly enough - they tell you what they will do, show up when they say they will and get the job done as professionally as possible. Great Job!! And they have some really cool work trucks too!" "Had trees removed, stumps grinded and a tree pruned along with planting replacement trees. Eddie, the owner & primary tree trimmer, and his crew did an excellent job in completing the work. An Arborist report was provided and submitted which was required for a permit for one of the trees for the permit. Very good suggestions were given on replacement trees. The price was very competitive and with the added value of Eddie's overall knowledge as an Arborist, this made it even more of a value for the price. The job site was thoroughly cleaned and left looking very attractive. Overall provided much better tree service due to his knowledge, workmanship and price than the other two tree service companies I have used in past." "I have known Ed for many years and have had many business interactions with him. I have seen his workmanship first hand from start to finish and I believe his attention to detail and precision tree trimming in particular is second to none. He is a tremendously energetic and hard worker. I highly recommend Ed and his company, Neck of the Woods Tree Service." 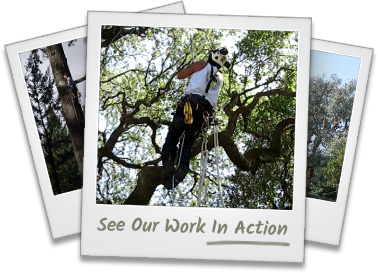 "Neck of the Woods Tree Service has been around since 1977... 1977!! Extremely knowledgeable and shows great pride in his work. If you LOVE your trees... CALL EDDIE!" We appreciate your feedback. Please take a moment to leave us a review!